LiteracyPlanet has been named winner of the 25th Annual Best Education Software (BESSIE) Award in the Upper Elementary Online Literacy Category! The BESSIE Awards are run by The ComputED Gazette and are designed to recognise innovative, content-rich programs and websites that provide parents and teachers with the technology they need to foster academic excellence. The BESSIE Awards are always very competitive and winners are selected based on a broad range of criteria including academic content, technical merit and subject approach. LiteracyPlanet at use in classrooms around the United States. The ComputED Gazette wrote in glowing terms of LiteracyPlanet in the full product review, taking time to note how LiteracyPlanet’s versatility, curriculum-alignment and thorough approach to providing the tools needed for a strong literacy foundation in the classroom and at home, set it apart from the pack. “Designed to remediate, support, or accelerate English language skills, the age-range is 3 to adult, and while the graphics are cartoony, LiteracyPlanet is not too cute for older students,” ComputED Gazette wrote. 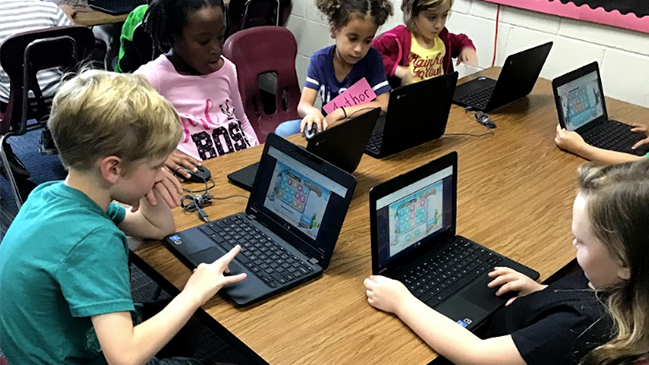 LiteracyPlanet CEO Adam McArthur said: “We’re thrilled to be named the leading Online Literacy Solution for Upper Elementary at the BESSIE Awards. It’s an honour to receive such a prestigious accolade. For more information about the BESSIE Awards you can click here. You can also read ComputED Gazette’s full review of LiteracyPlanet here.